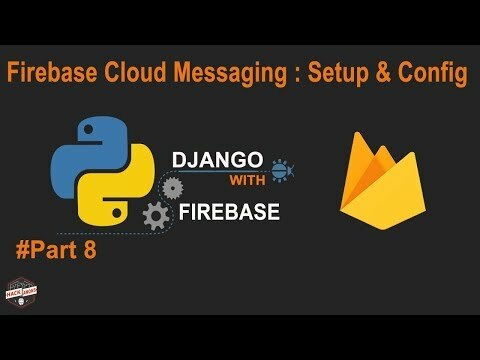 In this post of Python django with Google Firebase series I will show you how to setup and configure Firebase cloud messaging on Python Django. If we want to send a push-notification to an android app then one the best way is to use Firebase cloud messaging, we can setup a manual push-notification to Android app using Firebase console but sending a automated push-notification sometimes becomes a vary cramp-breaking task. Here, we'll integrate automated push-notification on python django based "Employee Daily Progress Reporting Web App". If you like videos like this consider donating $1, or simply turn off AdBlocker. Either helps me to continue making tutorials. Get whole project source code here.